Always the bridesmaid, never the bride. That’s how Brisbane’s property market has been performing for a few years now, playing third fiddle to Sydney and Melbourne’s booming housing stakes. Investors looked south, lured by the bright lights of those skyrocketing cities, and so things here have been patchy for a while in the Sunshine State. But much of 2018 has seen a change in fortunes. Demand is high, supply is constrained and the factors that drive growth – population, infrastructure, amenity and desirability – are firing on all cylinders. Finally, the Queensland capital is getting its time in the sun at long last. Next year should be a bumper one for Brisbane. There’s still a glut of investor apartments in some areas of the inner-city due to a massive flood of new construction coming through the developer pipeline. And some poorly positioned suburbs aren’t doing nearly as well as others. In this environment, it pays to have an experienced eye and steady hand look over the options. That’s where we fit in. So, where should you look to invest in Brisbane for great potential upside? I’ve got a few suggestions. The mighty Brisbane River splits this city into two and there has always been something of a rivalry between north and south. For a long time, the south side was seen as the poorer cousin with its cheaper housing, poorer infrastructure and lesser lifestyle draw cards. All of that is rapidly changing and it’s a good time to cash in. An influx of property buyers in the Brisbane market, made up of new arrivals from interstate and overseas as well as local first-timers, have set their sights on the south in recent times. With them, they’ve brought a new energy, gentrification and demand for cosmopolitan services. At the same time, significant investments in infrastructure have been committed by the government. Across Brisbane, the State Government is plashing $15 billion on a range of initiatives – and many are in the south. Among the projects improving convenience to the south is a third track being added to the rail corridor between Kuraby and Beenleigh and an upgrade of the M1 Motorway from Eight Mile Plains to Daisy Hill. Real estate in the Logan area is ripe to benefit from all of these positives. In particular, I like the suburbs of Marsden, Boronia Heights and Heritage Park. They have a high proportion of owner-occupier households and they’re sought-after by families due to their abundance of good schools and leafy parks. They’re still an easy commute from the city and a quick run down to the Gold Coast for weekends at the beach. They provide an affordable option for first homebuyers too and there are some nice homes for young families looking to upgrade to something bigger with a yard for the kids. For investors, there are some fantastic opportunities to add value and reap really healthy cash flow. Thanks to the bigger block sizes in this part of the city, savvy buyers can capitalise on the potential to add a granny flat or even knock down and replace older dwellings with new duplexes. Also in the southern part of Brisbane but closer to the city, Mt Gravatt is a very exciting suburb with lots of potential on the horizon. There’s rising demand from buyers thanks to its affordability, proximity to transport links as well as a major university campus. Gentrification is taking place too and it’s becoming the next trendy area to the south of the CBD. It’s also overflowing with development potential. It’s unbelievable that Petrie has been flying under the radar for so long. The little pocket in Brisbane’s north has so much going for it. There’s a train station that links it to the CBD in the south and the Sunshine Coast to the north, it’s on the water, there’s a massive shopping centre a few minutes down the road and it’s just off a major motorway providing great links to everything you could want. Houses here are still affordable and deliver an exceptionally strong rental return. The blocks are big, the quality of stock is quite good and you get a nice back yard for your buck. But Petrie is also going to be home to Australia’s newest uni campus in 2020 when the University of the Sunshine Coast opens its state-of-the-art Moreton Bay outpost there. That news brought a wave of excitement to the area and investors are starting to take note. And this is no regional campus either. Set on 10 hectares, it will be a vibrant new precinct offering 50 undergraduate degree programs to thousands of students. They’ll want somewhere nearby to live and plenty of services and lifestyle amenities to boot. The whole area will benefit. If ever a suburb embodied the notion of having your cake and eating it to, it would be Wynnum in Brisbane’s east. This waterside locale is close to the city, with good road and rail links, has an abundance of local employment and lifestyle hubs, and it’s picture perfect and a wonderful place to live. Prices here can be a bit heftier than elsewhere in the Greater Brisbane area, especially for luxury property on the water itself, but you still get a lot of home for your money. And that’s drawing in buyers in droves. The next suburb over is Manly, which is a beautiful little spot, and is a short run to the airport and a stone’s throw from the entry to a motorway that’ll take you north or south to the beach. Much like Wynnum, the suburb of Sandgate is one of those locations that offers the best of both worlds – proximity to the hustle and bustle of the city without any of the downsides. Visiting this part of Brisbane makes you feel as though you’ve gone on holiday. It has a very relaxed, almost sleepy vibe that resembles a far-flung coastal small town. But it’s well-connected via rail and road, and has plenty of features for locals to enjoy, from a vibrant culture to a great café scene. It’s mostly owner-occupiers here, although some older residents are selling to investors or becoming landlords themselves to cater to growing renter demand. New buyers are renovating and breathing fresh life into the area while investors are encouraging a younger and more diverse cohort of tenants who bring demand for gentrification with them. Sandgate could be a future seaside hotspot – think Bronte in Sydney or St Kilda in Melbourne – not far down the track. 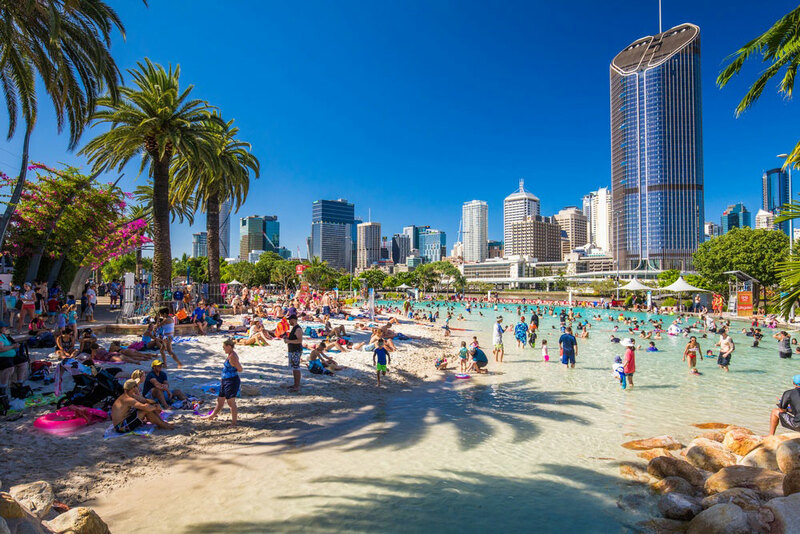 Brisbane investment future looks bright, but don’t be fooled into believing that buying just anything will yield a windfall. Make sure you seek professional advice from those in the know. We can secure your investment in the sun, so all you need do is sit back, relax and profit. Please contact my friendly team of Buyers Agents who would be glad to help you further and discuss your needs. Let us know your property brief or call us on 1300 655 615 today.